Development: Story selection and rights acquired; idea being crafted into usable script; financing and casting attachments sought; aiming for 'greenlight'. Universal's DreamWorks Animation is moving forward a sequel to 2017's Boss Baby. 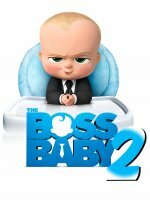 The Boss Baby 2 release date is set for Friday, March 26, 2021. This will be a Nationwide in theaters release. Based on award-winning author Marla Frazee’s picture-book series.